It's been turned down three times by Metro's leaders – but Nashville Mayor David Briley wants to go after plans for a multi-million dollar downtown flood wall. The plan was similarly proposed by two previous mayors – Karl Dean and Megan Barry – and now it's back again, at a higher price tag: $125 million. That’s $25 million more than when the plan was originally introduced. 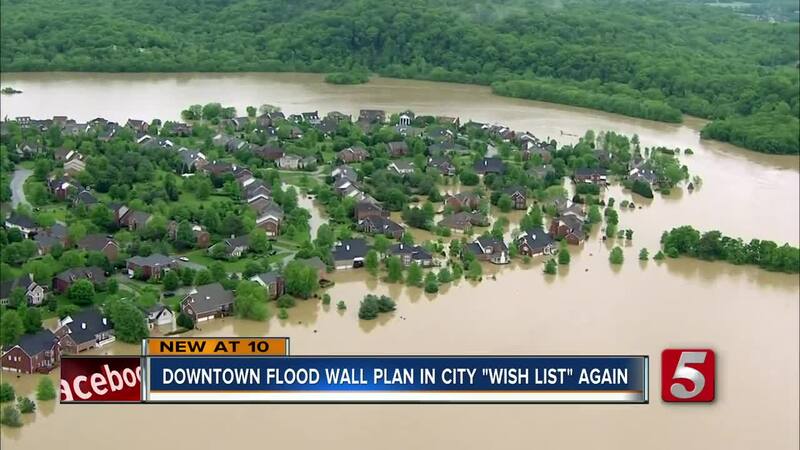 It's been turned down three times by Metro's leaders – but Nashville Mayor David Briley wants to go after plans for a multi-million dollar downtown flood wall. The plan was similarly proposed by two previous mayors – Karl Dean and Megan Barry – and now it's back again, at a higher price tag: $125 million. That’s $25 million more than when the plan was originally introduced. Briley put the request in this year's Capital Improvement Budget – a city project wish list of sorts. At-Large Councilman Bob Mendes said he's going to move to get the project, and the price tag, out of the city plan. “I think there hasn't been enough county-wide engagement, and I think the voters of Davidson county are not interested in paying for a downtown flood wall for $125 million at this time,” Mendes said. Mendes stated money spent on flood protection should benefit everyone across Davidson County.